Although McLaren are gaining their fair share of headlines about mechanical issues during the first week of testing in Barcelona, it was Williams who had to curtail their programme at lunchtime on day two. 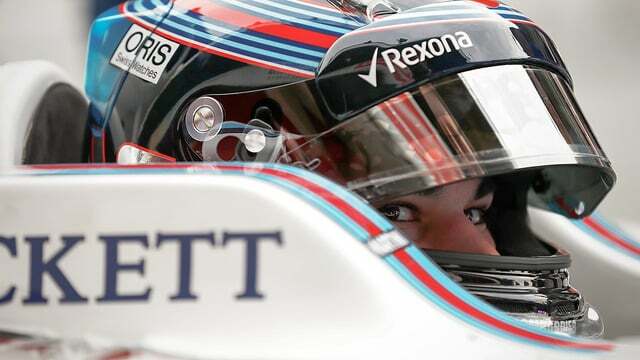 The team completed a good first day with Felipe Massa behind the wheel – 103 laps with the third fastest time. Massa then handed the car over to rookie Lance Stroll who didn’t have quite such a good day. Rob Smedley explains: “Lance was on lap six of his second run when he had a spin. The grip was particularly low and so he spun and went through the gravel backwards. Even though the accident was entirely innocuous we’ve unfortunately had quite a bit of accident damage.” Williams had to call it a day there as they need to send some parts to and from the factory for repair. Lance said: “It is still early days, so I need to do a lot more running before I know exactly where I am and where the car is at.” Massa will be back in the car tomorrow with Lance returning for the final day this week.